The first step in the process is to identify current and future risks. This is a critical step in the process and the work that follows. If a risk is not detected, it can be neither evaluated nor eliminated. This presents a threat to the company because it is exposed to the risk without protection. In the identification of risks, experience and technical/legal knowledge (e.g. contract analysis) are essential. 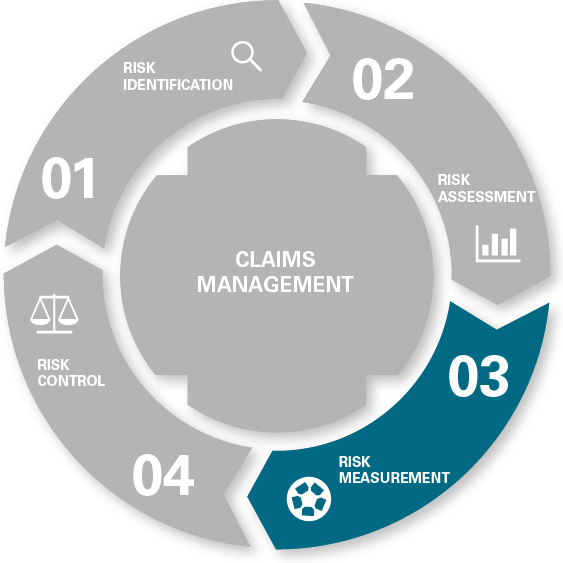 To be able to estimate the impact of a risk, the identified risks are assessed. The assessment is applied according to the probability of occurrence and the associated potential impact. In illustrating the results – especially if there are multiple risks to be examined – a risk matrix can be helpful. In technical terms, the assessment of the financial extent of damage is paramount for the valuation of the insured sum. Depending on the risk, the calculations can be made by means of simulations and/or by actuarial projections. 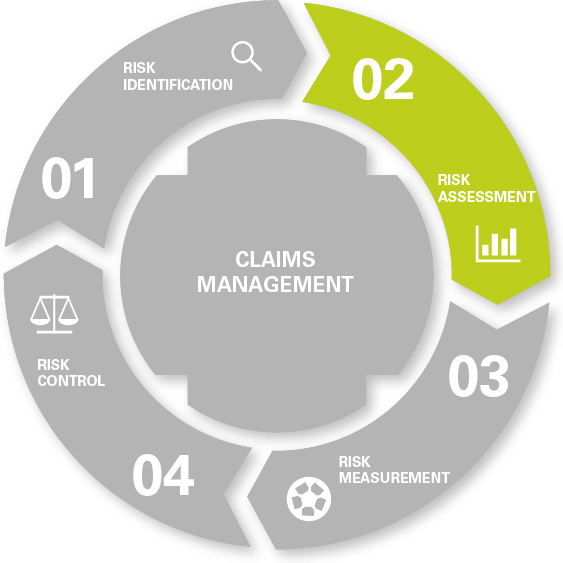 In the management of risks, measures of the identified and assessed risks are taken. These measures must comply with the determined risk policy. The objective is to balance opportunities and risks and implement a risk strategy. As part of an effective risk strategy, four different control possibilities are available: risk elimination, risk mitigation (self-retention), risk transfer e.g. to an insurer, or acceptance of the risk. 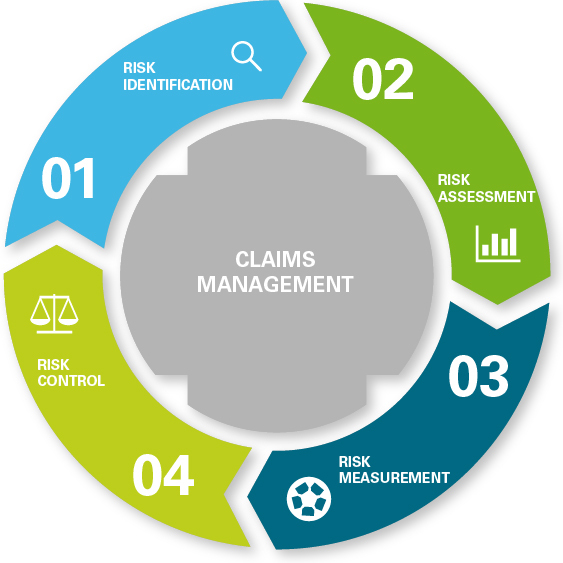 An ongoing strategy ensures that the actual risk situation is consistent with the company’s defined risk policy. To support this control, an in-house reporting system to outline the risk situation, describe risks across time, and facilitate an overall review, is recommended. The communication of risks as part of the process should be expedited to ensure the prompt sharing of relevant information and to strengthen risk awareness in general. An inventory of the actual risk situation should be prepared at least annually, in conjunction with the insurance broker, and future challenges or measures discussed. HiSV has many years of experience handling both complex and high profile claims, across the sports industry. 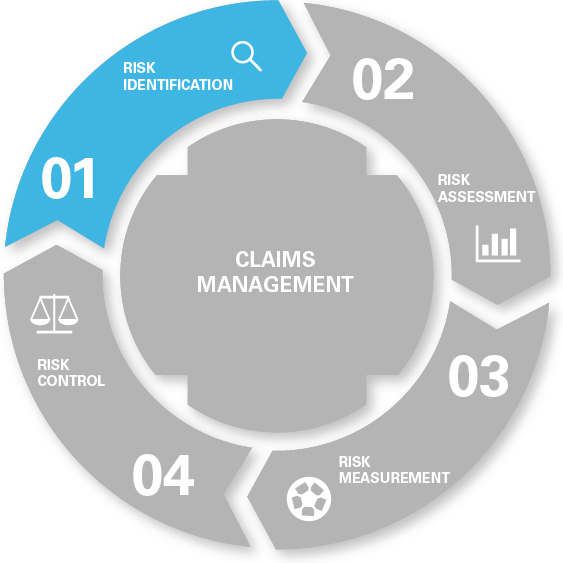 Successful claims management is vital for the policyholder. The insurance broker takes on a central role here and ideally supports their client clearly from the outset. The broker advises and represents the policyholder to the insurers, and discussions can be very complex and lengthy. Our many years of experience, and having processed many difficult claims, are especially relevant here.